The woman was driving on 32nd Avenue near the intersection of Highway 20 West and Highway 13 North. Police say they no longer fear for a 29-year-old woman's life after she was transported to hospital in critical condition following a collision with a concrete barrier. It happened in Lachine on Saturday morning. 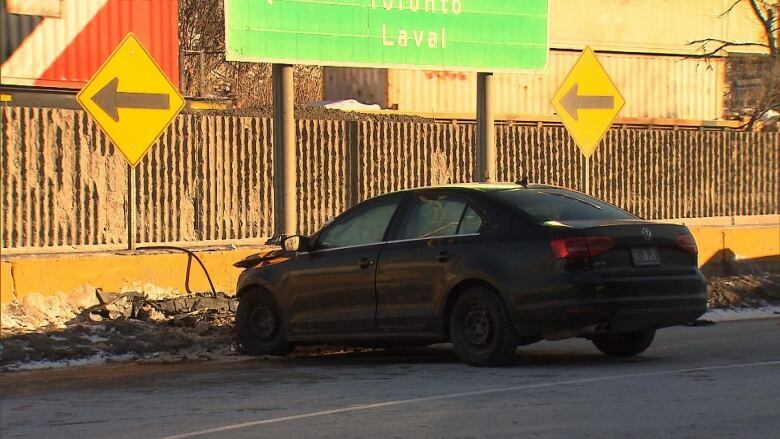 Montreal police say there was a very hard impact when her vehicle hit the barrier. Paramedics took her to hospital in critical condition, but say she is now stable. Police were on the scene investigating Saturday.